Environmental activism has a long history in Canada. Like others around the world, in the late 1960s and early 1970s, Canadians became involved in a number of environmental non-governmental organizations. Picking up on a prevailing spirit of protest during the era, several environmental problems surfaced as popular political issues: air pollution, water pollution, solid waste disposal, among many others. Out of this came one of the first ENGOs in Canadian history, Pollution Probe. Born at the University of Toronto in 1969, the nascent group focused its efforts on new concerns regarding air pollution in Canada. It would go one to become one of the most influential environmental groups in Ontario and even shape a national environmental movement in Canada. Scholarly research on the history of the environmental movement in Canada is limited. A couple of years ago, we published two episodes of Nature’s Past on the history of the Canadian environmental movement. Now there are a handful of new books on the topic, including the recently-published The First Green Wave: Pollution Probe and the Origins of Environmental Activism in Ontario. On this episode of the podcast, author Ryan O’Connor joins us to discuss Pollution Probe and the early years of environmental activism in Canada. O’Connor, Ryan. 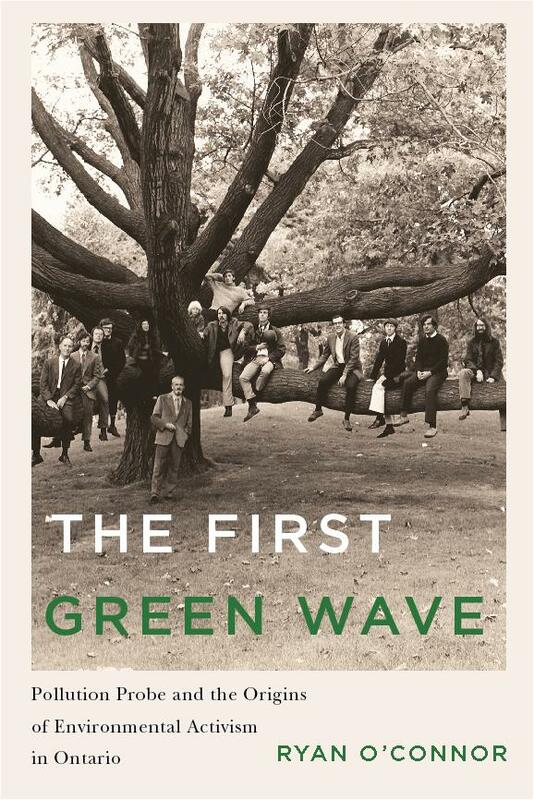 The First Green Wave: Pollution Probe and the Origins of Environmental Activism in Ontario. Vancouver: UBC Press, 2015. Kheraj, Sean. “Episode 47: Pollution Probe and the History of Environmental Activism in Ontario” Nature’s Past: Canadian Environmental History Podcast. 20 April 2015.